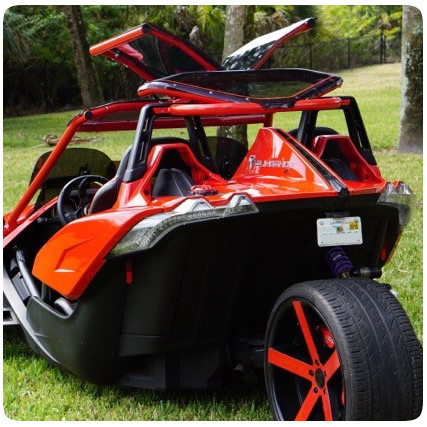 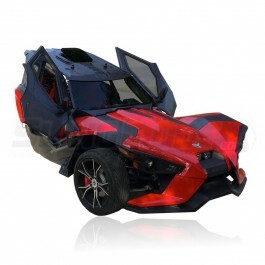 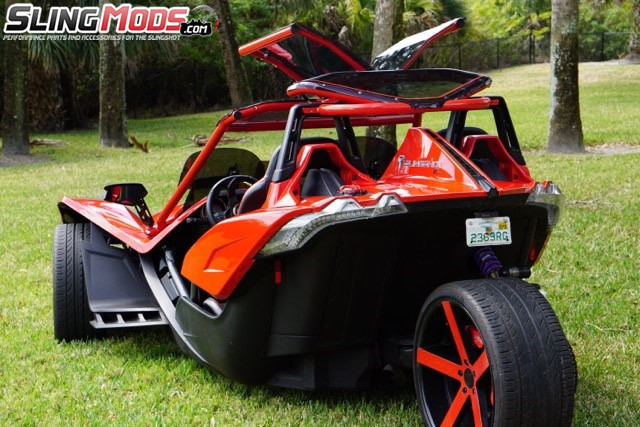 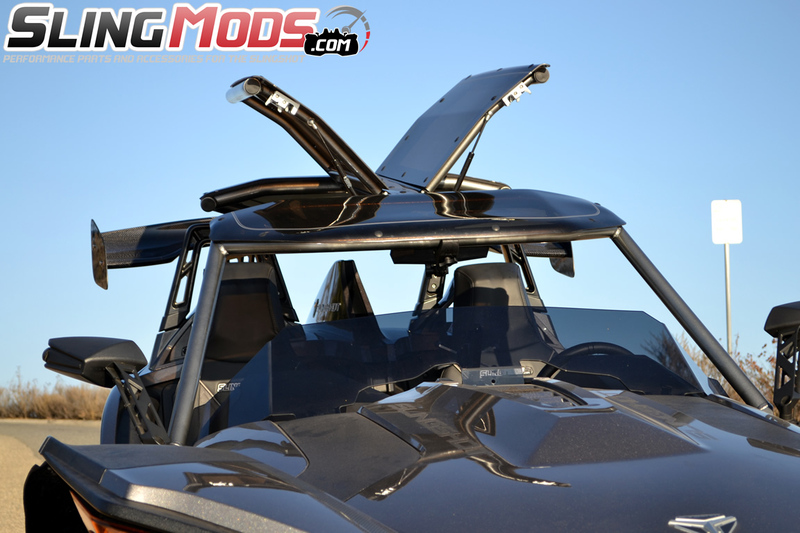 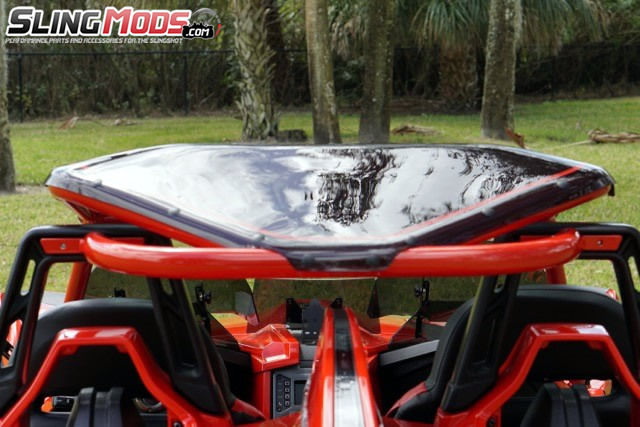 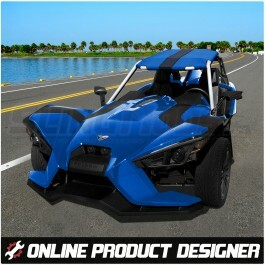 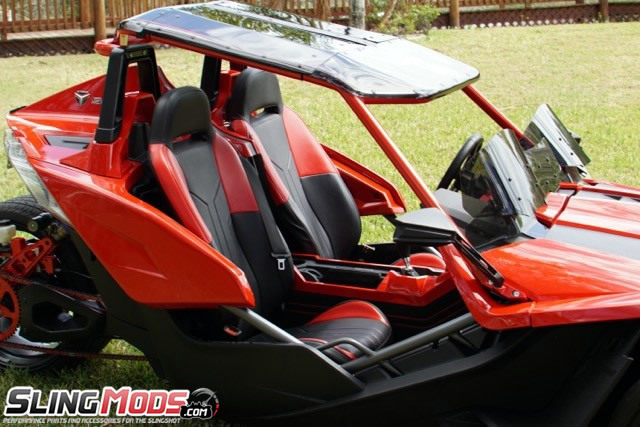 Twist Dynamics has created another beautiful roof top for the Polaris Slingshot. 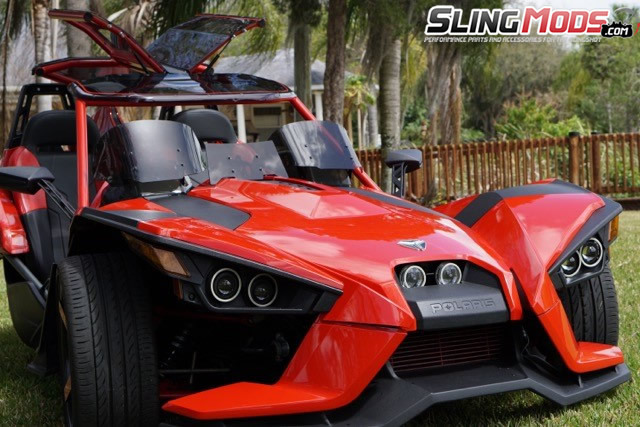 They've stepped it up a notch with the Gull Wing top by allowing both driver and passenger to easily enter and exit their Slingshot with the tiltable, shock controlled T-tops. 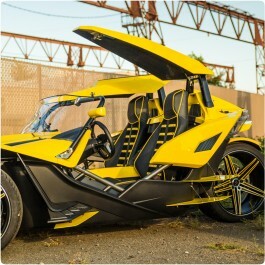 Hello Larry, here is the mfg response: Yes the two gullwing sides slide on a track that remove and put behind the seats if wanted open. We send a horse shoe shaped plastic mat so the customer can put it on the plastic top to slide on and not scratch the surface if they are not careful. 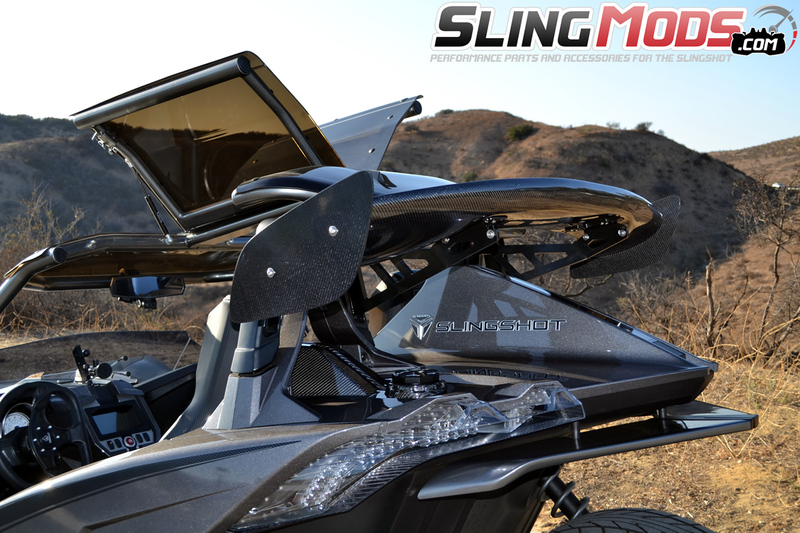 Just open the gullwing, pop the shock off of main frame side and then slide toward the front of the unit to remove top..